NEWARK, N.J. (CNN)On his first day as a presidential candidate, Sen. Cory Booker sent a strong message about what his primary campaign will look like and the types of Democratic voters he will engage with a campaign rollout that spoke directly to African-American, Latino and female audiences.Booker’s first interviews bypassed more mainstream media in favor of a targeted approach, taking his message directly to a trifecta of groups that Booker will aim to win over in a Democratic primary. 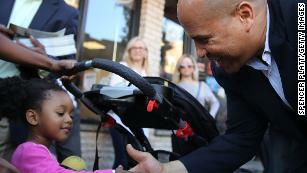 5 ways to understand Cory Booker’s presidential chances”The rollout wasn’t just, how many eyeballs can we get on this?” a person close to Booker explained. “It’s going to people where they are.”As a newly announced presidential candidate, Booker called in to the “Tom Joyner Morning Show,” an urban radio show that caters to a black audience, on the first day of Black History Month.”I wanted to come on this show, Tom, because of what you mean to so many people in this country,” Booker explained.He then called into Univision for an interview conducted almost entirely in Spanish. Booker learned the language almost two decades ago, when he was starting out in Newark, New Jersey, politics as a city councilman and mayor. 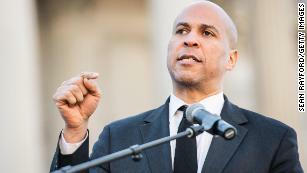 CLICK HERE WE KNEW CORY BOOKER BEFORE HE WAS RUNNING FOR PRESIDENT. HERE’S WHAT HIS HOMETOWN HAS TO SAY.